Wow ! – what a fantastic website – so much useful information. quite a bizarre coincidence albeit i’m sure i’m not unique in this. The information on this site has been extremely helpful in providing information about their service which is otherwise very difficult to obtain. Sgt. Frederick Phillip Willsher (rear gunner) was my great uncle, and my nan died never really knowing the full story of what happened to him, I wish we had found your website earlier. I hope you do not mind but I have cut and pasted the info about his last flight 25.05.1943 onto the MyHeritage family tree and have cited the source. Thank you again for providing such valuable information. No problem at all Niki! tail gunner with 75th squadron C flight and flew 16of 32 missions in HK601 JN-D I can’t stop digging for more info. can’t wait to show all this info to my other family members. My father was Squadron Leader Frank Albert Sandeman who joined the Royal Air Force Volunteers Reserve on 5th February 1938 and served to 21st March 1946. He was with 75 Squadron 14.10.42 to 23 .4 .43 at Mildenhall ,Oakington and Newmarket. 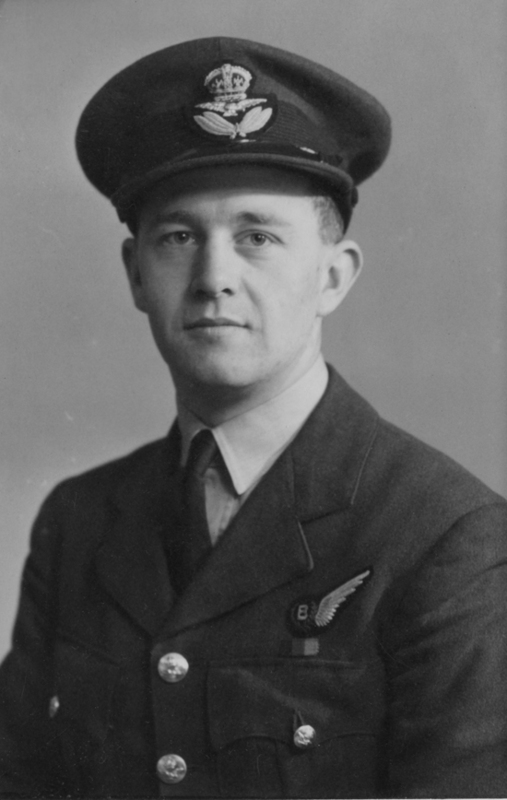 He was mentioned in dispatches on 24th September 1941 and awarded the Air Force Cross on 17th July 1942. He passed away on 11th November 1977. Wow -what a fantastic website this is. My grandfathers cousin was Colin Frank Bates. Until only a few days ago all we knew was that he was in the RAF and died 5th January 1945 and is buried in the Sage War Cemetery in Germany. A lady had contacted originally looking for a photograph of Colin, which we don’t have, as she was compiling biographies of all airmen killed in action on 7 Squadron. She informed me of the crew he was in. The Louis Thomas Friedrich crew came together in September 1944 and they were all killed over Germany on 5th January 1945 and were based at Oakington RAF base, Lincolnshire. Your website has provided so much more information than I could have hoped for. Details of missions flew from September through to the beginning of November, my aim is now to fill in the gap between November and the beginning of January. Dear Simon, As promised some time ago, attached Evasion reports for Winkie Kirk and Bill Hyde, hopefully they are legible. Had to fold them top and bottom, to reduce from the original Foolscap to A4 but otherwise they are intact and verbatim so to speak. No pun intended! Zane Kirk’s biog. of his dad is progressing positively and should soon be available from bookshops I am led to believe. I have copied this in to Zane. Keep up the sterling work, it is a credit to you and your contributors.